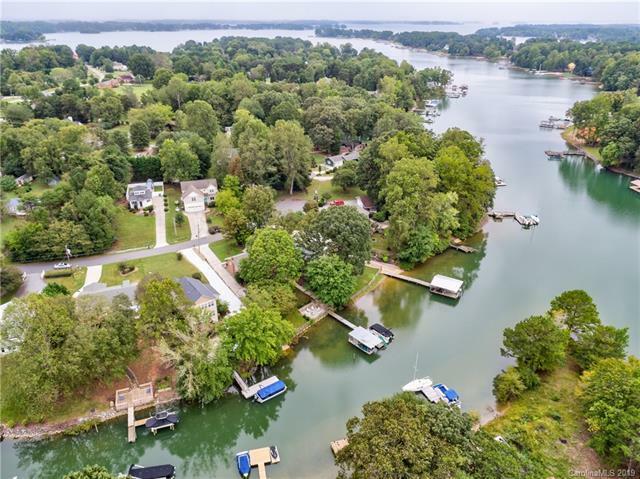 WATERFRONT home on Lake Norman with pier, floating dock and easy access to the main channel. Built in 2013, this home offers an open floor plan with an inviting living room, breakfast area and kitchen, all with wide plank flooring and views of the lake. Kitchen features granite countertops, stainless appliances, subway tile backsplash and an island. Master bedroom has vaulted ceilings and an attached bathroom with dual sinks, tile floors, and a walk-in closet. The outdoor living area provides lots of space for relaxing or entertaining with a deck and large patio. Located on the Brawley Peninsula near highly rated schools, shopping, dining and I-77. Low county taxes and no HOA. This is your chance to be on the lake in time for spring!